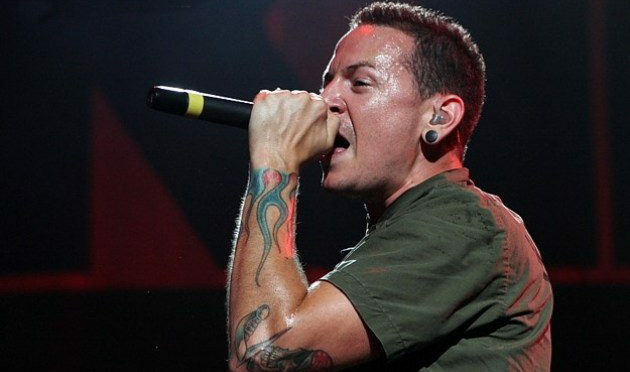 Linkin Park's Chester Bennington Commits Suicide - Welcome To All That Shreds Magazine! According to TMZ, LINKIN PARK frontman Chester Bennington has committed suicide. He was 41 years old. Law enforcement sources tell the site the singer hanged himself at a private residence in Palos Verdes Estates in Los Angeles County. His body was discovered Thursday just before 9 a.m.
Chester wed Talinda Bentley in 2006. The couple shares three children, and he has three kids from previous relationships. After Chris Cornell died in May, Bennington wrote a heartfelt message paying tribute to the SOUNDGARDEN frontman. In the letter, Bennington wrote he couldn’t imagine the world without his late friend in it. LINKIN PARK‘s most recent album, “One More Light,” topped the Billboard 200 earlier this year.